Miyamoto Crater is located in southwest Meridiani Planum (and southwest of the Mars Exploration Rover Opportunity landing site). 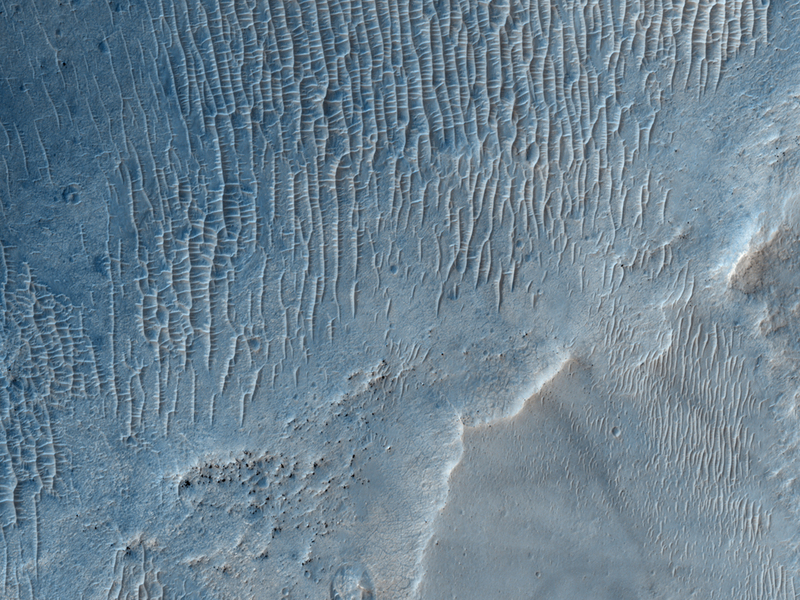 This image shows fairly smooth plains and some areas covered by wind streaks. The streaks suggest that wind is an active process here, depositing surface material downwind in this distinctive form. This landing site is adjacent to the hematite-bearing plains unit where the Opportunity rover sits. The CRISM instrument has detected phyllosilicates (clay minerals) at this landing site, which scientists believe to have formed in the presence of water. This is a stereo pair with PSP_008706_1765.